Whether you’re one of our existing cloud storage users or have only just joined us, this article is a must-read for everyone! As one of our many JustCloud users, you have an array of intuitive and sophisticated features at your very fingertips—which, due to the user-friendly design requirements followed by our development team, couldn’t be simpler to operate! This means that everyone, no matter their IT skill set, can understand every aspect of the cloud storage service we provide. 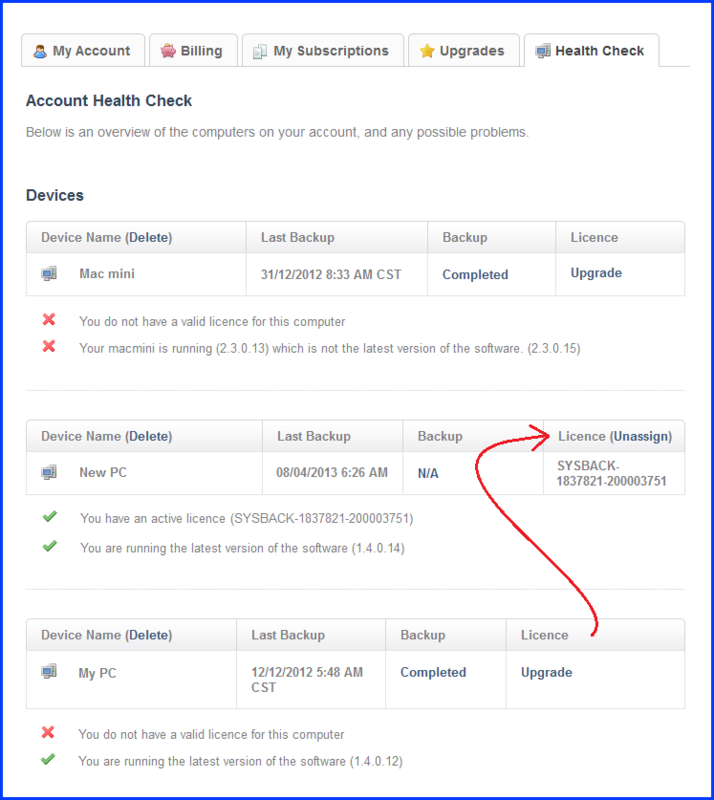 When it comes to backing up your music, photos, videos and documents, and accessing them from a wide range of devices, it doesn’t get more hassle-free and straightforward than this. 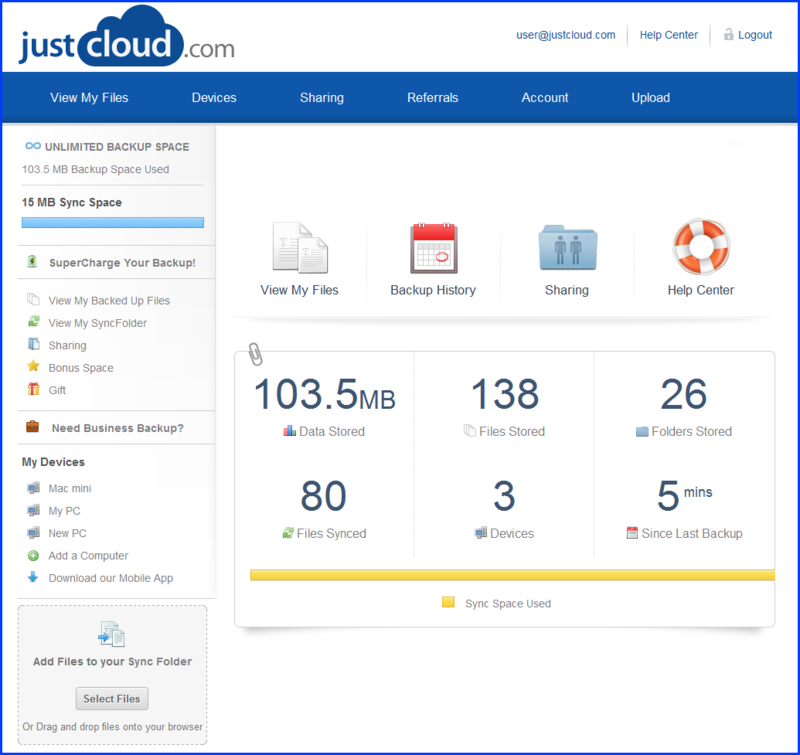 Sophisticated-yet-simple—this is cloud storage the JustCloud way! Once you’ve subscribed, have your Automated Backups running, and are enjoying features such as File Sharing, Syncing, and Versioning, managing your digital life couldn’t be easier! But…what happens when your PC’s hard drive reaches the end of its life? What happens when it flat-lines? Unfortunately hard drives weren’t built to last forever, so this is a reality we users must all face. Transferring your cloud storage license to a different computer (so you can carry on backing up your files) can sound like hard work to some. But we can assure you it’s dead easy. So easy in fact, that it’ll take you merely minutes. 1. From your new/other computer, you’ll need to log into your cloud storage account via our website. Just click “Login” and enter your email address and password. 2. Next, you need to download and install our cloud storage app. So click on “Download” (bottom left corner) and then save the file to your computer. Your Desktop is always a convenient location. Proceed to install the app. 3. 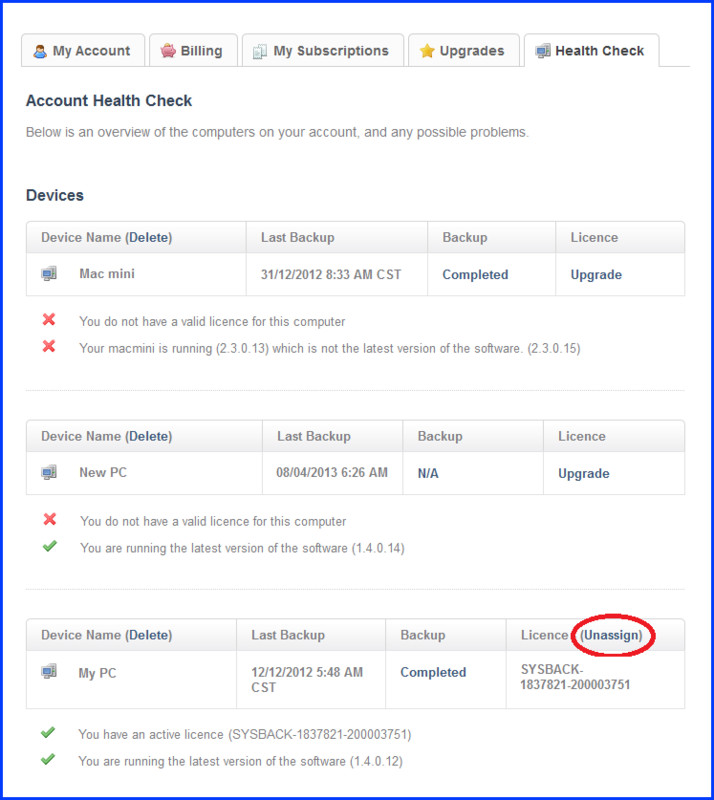 Return to your control panel in your web browser and click “Your Account” and then “Health Check”. 4. You will see that your old computer is currently assigned with your license. But of course, as you know, this computer has stopped serving you. So now you need to un-assign your license from this computer and reassign it to the one you’re using. It sounds simple—and it is. Click “Un-assign” (then “Yes” in the confirmation window) followed by “Re-assign”. See the pic below for an example. The license transference has now been completed and you can start backing up your data, and use your cloud storage account just as you did before. And it’s as painless as that! If transferring licenses to multiple computers is something you’d like to do regularly, there is always the option of purchasing extra licenses. This can make things a lot simpler and save time. 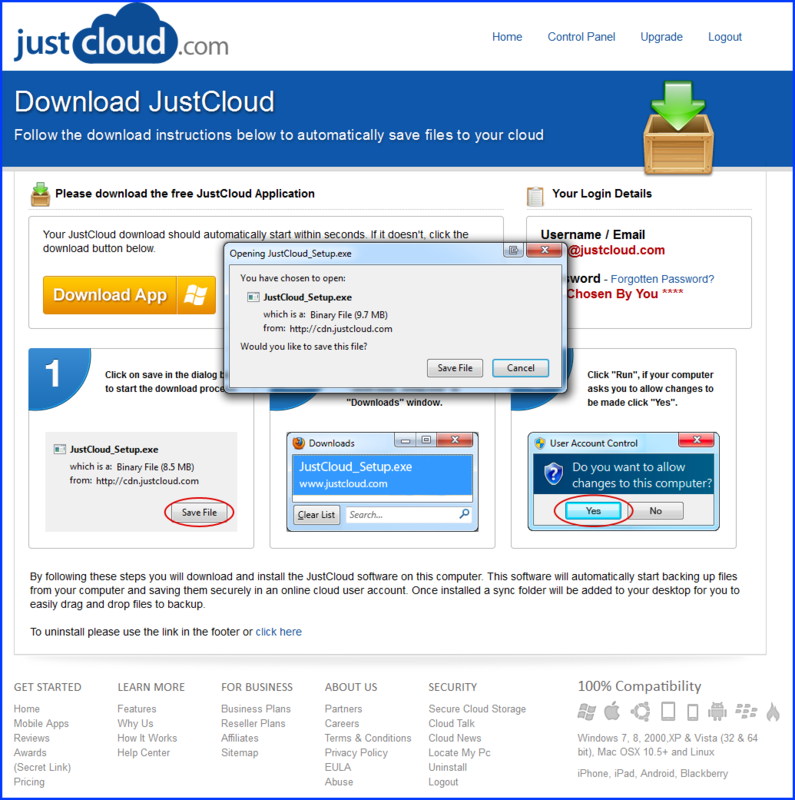 Remember, if you aren’t yet a JustCloud user, you can try out our acclaimed cloud storage services via our FREE trial version.